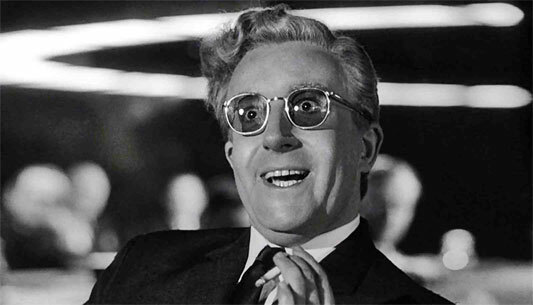 British comedian Peter Sellers may be most well-known for his remarkable portrayal of Dr. Strangelove, the ex-Nazi turned Head of U.S. Weapons Research. Strangelove is a quirky, tittering scientist whose bionic right arm has a mind of its own, leading to some decidedly awkward moments throughout the duration of the film. The wheel-chair bound Strangelove can’t seem to control his cybernetic limb; as society teeters on the edge of World War III, the arm begins to develop fascist tendencies, spontaneously and unpredictably rising into a Nazi salute. While Strangelove doesn’t fight off mutants or try to conquer the galaxy, his misbehaving robo-limb qualifies him as one of film’s most iconic cyborgs.